Ratang Bana is a project site where the LAND project works in Johannesburg, through the non-profit organization Kidlinks World. Surrounded on all sides by overcrowded streets, condensed housing, and dusty garbage sits an oasis at the top of a hill – Ratang Bana. Here, a garden as green as an Irish meadow thrives, a symbol of growth and hope in a desperate place. 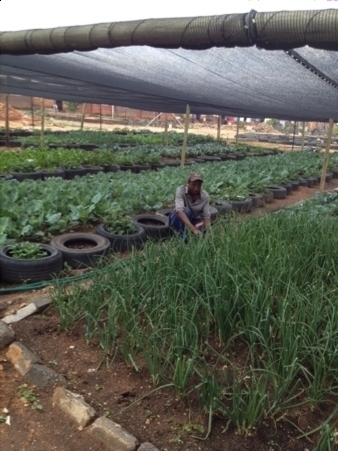 In the heart of Alexandra, South Africa, Ingrid Moloi and Koos Maredi have poured their entire lives into the development of Ratang Bana, an urban garden project with children at the center. 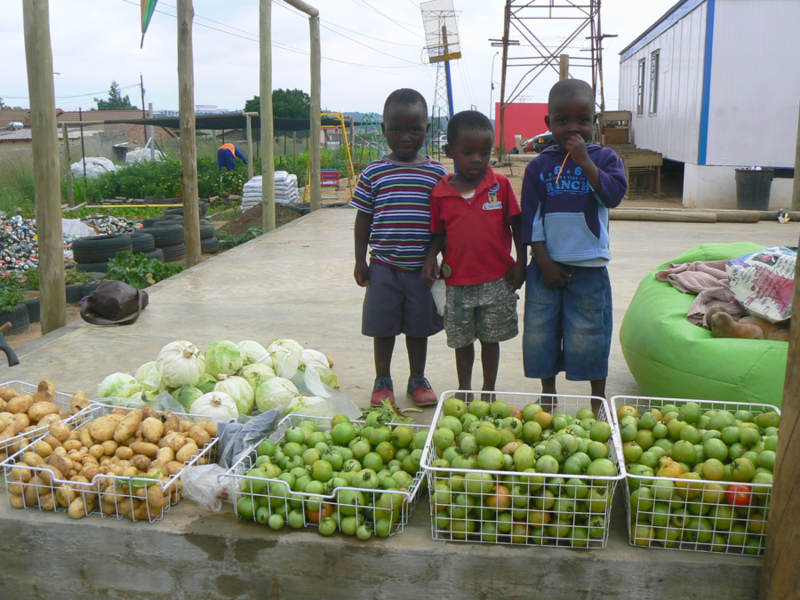 Ratang Bana (meaning love the children) supports more than 460 vulnerable children, orphans, and children affected by HIV and AIDS in the area by providing fresh fruits and vegetables, care, and support. Specifically, Ratang Bana distributes food parcels to orphans and vulnerable children, makes referrals for counseling and social services—such as foster care, ch ild support, and disability grants—and makes home visits to check on the household environment of the kids they work with. Ratang Bana advocates for sick and vulnerable children, negotiates exemptions for school fees, organizes events and outings for beneficiaries and their families, provides skills training (such as computer skills), and delivers fresh fruits and vegetables and meals to families. These services come are crucially needed in Alexandra and cannot be found anywhere else for many of these children.